Saturday 11 April 2009 will remain etched in the world of beauty. 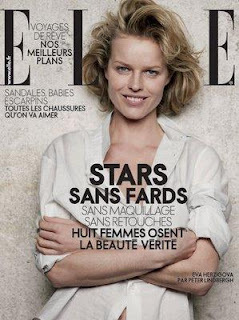 The French edition of Elle magazine has offered its readers a special issue of its own. 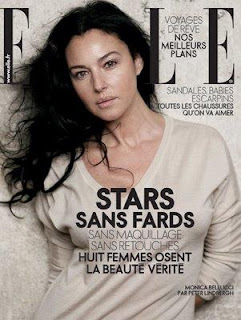 Eight stars including Monica Bellucci and Eva Herzigova, posed without makeup and retouching for it under the lens of Peter Lindberg. It is good to see women with bare skin on the cover. Hopefully this is not the last time!